Need A Lock Change For Your Home Or Business? 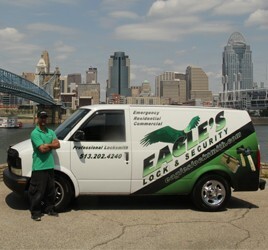 Eagle’s Locksmith in West Chester, OH 45069 offers emergency, residential and commercial services. Our 24 hour locksmith is always in your area, that’s why we can respond faster than others and come over to your home or place of work in case of an emergency. Sometimes after our West Chester locksmith let you in, you might need to change your lock on your car, home or business. 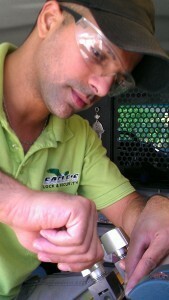 The technician has all type of locks and keys in his van to install on your door and secure your place. 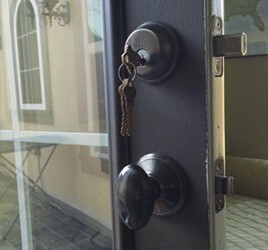 We will make sure you are safe and good to go before the locksmith leaves your location. If you need extra keys made, we can do it on site with no extra charge. You can definitely count on our high quality locksmith services with Eagle’s Locksmith – Your #1 Locksmith in West Chester Ohio! Since you are already viewing our site, we would like to offer you a few benefits that can make your experience with us even better. Every customer who hires our services can get our special rates and can enjoy with saving money from the first time of service with Eagle’s Locks. To get more information about other specials we offer, you may call us whenever you need us and we’ll be more than happy to share and update you with the most current specials we have to offer in the West Chester, OH and surrounding area. 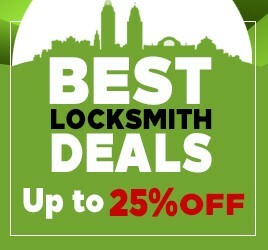 1) 10% off for any locksmith services. 2) Free lock installation, when buying 2 locks. 3) Free 3 extra keys for home and business common locks. 4) $25 bonus credit for next time you need our services. 5) Special rates for your friends and family. Locksmith West Chester, OH By Eagle’s Lock & Security provides you the highest level of services any time of day or night! Contact Eagle’s Locksmith at 513-202-4240 so we can send our professional technician to you in the West Chester, Ohio area.